The toll included Ockhi victims, fishermen killed during mid-sea accidents and unnatural deaths of tourists. THIRUVANANTHAPURAM: From a top angle, the blue waters off the coast from Neendakara to Vizhinjam in the Arabian Sea appear to be sparkling and splendid, but the number of bodies the Kerala Coastal Police have recovered from the stretch since their inception in 2009 proves that looks can be deceptive. 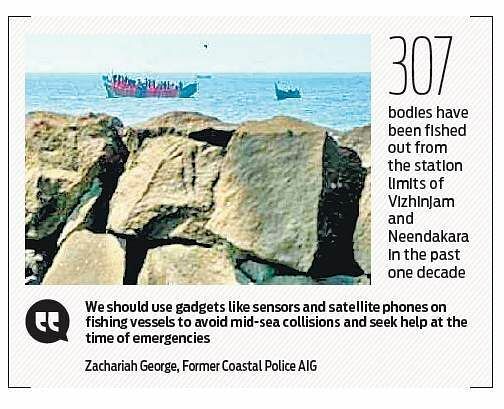 Of the 507 bodies they fished out from the sea from February 2009 to June 2018, 307 were from the station limits of Vizhinjam (253) and Neendakara (118). The toll included Ockhi victims, fishermen killed during mid-sea accidents and unnatural deaths of tourists. Considering that only 34 bodies were recovered from the region during the time of Ockhi, one feels there is something really wrong there. 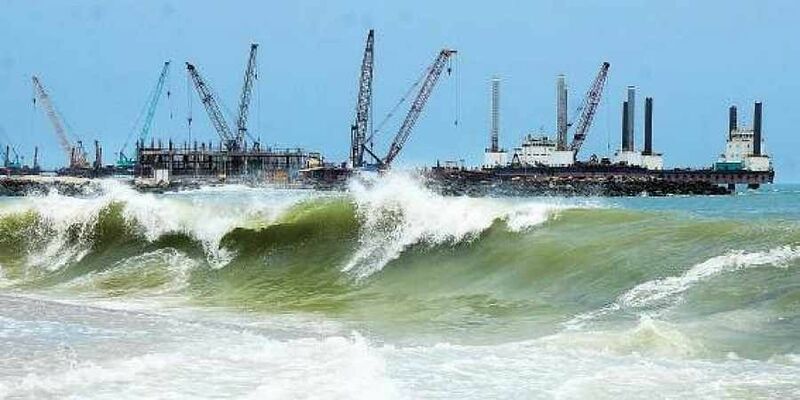 Vizhinjam Coastal Police head Jayachandran said Muthalapozhi harbour under their jurisdiction is a known ‘black spot’, where fishing vessel used to capsize after getting smashed by strong waves and throwing the fishermen into the sea.Furthermore, all deaths happened within 12 nautical miles will be recorded as unnatural under CrPC Section 174. Neendakara station head Shibu R said the high number of deaths reported during the period has to be subjected to a detailed study in order to take preventive steps.Kerala University of Fisheries and Ocean Studies vice-chancellor A Ramachandran said multiple factors including unscientific construction of harbours, fishing practices and tourist drowning in beaches like Kovalam were behind the high death toll. “If the fishermen go for fishing on modern canoes and boats off Neendakara, in Vizhinjam they opt for rafts, locally called Chalathadi, which are tied with ropes. It’s highly dangerous,” said Ramachandran. Former Coastal Police AIG Zachariah George said a sea discipline has to be developed. “We should also use gadgets like sensors and satellite phones on fishing vessels to avoid mid-sea collisions and seek help at the time of emergencies,” he said.